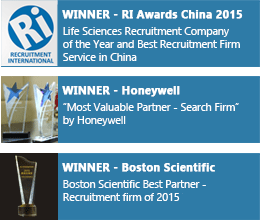 Talent Acquisition Managers, HR Business Partners, Compensation & Benefits Managers, HRIS Leaders and L&D/Training Managers are the most sought after HR roles in China. Shanghai – 20th October 2016 – The year 2016-17 will be a consistent year for HR professionals in China. There’s significant interest in HR specialists that are bi-lingual, particularly in large multinational companies, who understood the Chinese perspective and could balance this with international best practice. While salaries will mostly remain steady, there is a expected increase of between 8% to 15% expected throughout the profession. This tendency is anticipated to continue for the whole of the year, especially since more firms prioritise their HR procedures. In China, the HR professionals have managed to develop new strategies directed at retaining current employees by investing in their professional development. The new strategies have also been successful at attracting new talent. Along with that, internal HR divisions are being set up by an increasing number of small businesses to be able to manage their workforce more professionally. He further said,“Businesses across China do need skilled HR professionals to help recruit and retain employees. In most cases, the highest calibre HR professionals are not proactively seeking a new job. However, we have found that the majority are open to hearing about new opportunities, and we are increasingly receiving a high number of speculative enquiries from HR professionals enquiring about potential opportunities in the market”, said Mr Yu. 1. Compensation and Benefits Managers: This occupation is highly sought after because it has an enormous effect on several HR regions – wages benchmarking to bring in expertise, remuneration layout to keep workers and localised HR policies. It manages situations that are complex in payroll and rewards management. 2. Talent Acquisition Manager: This function has developed from theprocedure for searching, selecting and onboarding workers to using the network and having a ready pool of exceptionally qualified prospects for future or quick recruiting needs. 3. HR Strategic Business Partners (HRBP):This rolehelps deliver the company goals with management and workers across business departments. This position acts as a consultant to management on Human Resource issues.This person is seen as an operational and more strategic resource for the region or area in which they support. 4. HRIS Leader: HRIS Leaders are devoted to maintaining and enhancing the HR function’s information system.The role is responsible for ensuring data gathered in IT, finance and othersare well-timed and accurate, and also acts as a link between vendors, management, and users on techniques and HRIS problems. 5. Learning & Development/Training Managers: The focus is to push and style the firm’s structure and intervention systems to give the appropriate skills, abilities and individuals for the company success. This role is about integrating strongly with the major stakeholders and practical heads, to understand their improvement needs and propose suitable talent-management options.